I don’t know if we’ll ever have a person who spent serious time as a writer as U.S. president. Yes, most write—or co-write to some degree—books leading up to their candidacy, and some kind of post-term memoir is now expected; but I’m speaking of a sustained and serious attempt at literary writing. In my lifetime we had one prominent candidate (Eugene McCarthy) who did write poetry in the mid-century modernist style, and a substantial “leading up to their candidacy” book of political history from John Kennedy, though there is controversy about how much of “Profiles in Courage” was ghost-written. Jimmy Carter has published books of poetry after leaving office, but at least so far as I’ve sampled his poetry, it hasn’t stuck with me. Other democracies may have better examples. Vaclav Havel in the Czech Republic, and that winner of the Nobel Prize for Literature with a side job, Winston Churchill. Farther back there are more chief executives who could fill a shelf with their own books: Disraeli, Theodore Roosevelt. Overall, I’m not sure that “men of letters” (a gender-neutral term doesn’t seem to jibe with that archaic phrase) are, as a class, good candidates for the Presidency. Writing is the perfect example of a one-person enterprise. To do it well takes a lot of effort, but most always it involves the writer setting themselves on that course by convincing themselves of it’s necessity and then carrying on with little assistance, at least until the publishable stage is reached. Leadership and coalition–building aren’t needed in those tasks. Vision is helpful in either field; but if we are to be honest with our selves, democracies only set much value in that in times of crisis. Abraham Lincoln, the great American orator and leader, wrote a three-section poem in his 30s while recalling the hometown of his early youth. We set part of this to music for his birthday earlier this month. 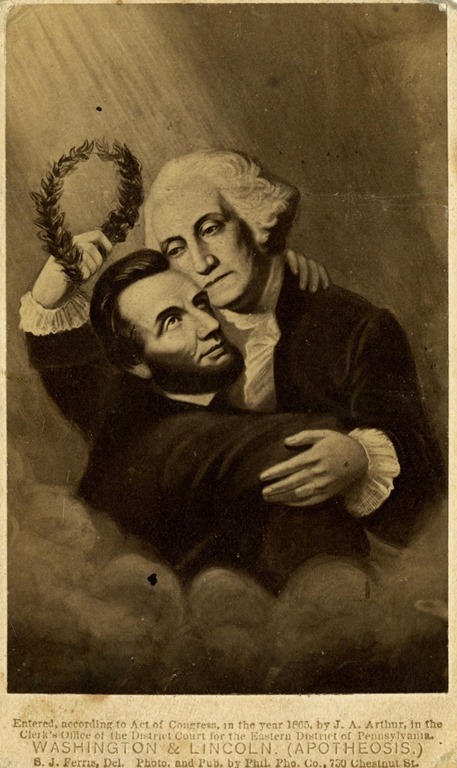 It’s quite sad, in a mode that was somewhat common in 19th Century literature, but there’s reason to think that Lincoln wasn’t just striking a pose. It’s now commonly believed that he suffered from some level of depression in his adulthood. To hear Lincoln’s “My Childhood Home I See Again,” use the player below.